Whether you believe it or not, perms are back in! This hair trend from the ‘80s has made a comeback and we are loving it! Now ladies have the choice to transform their hair into something different. Women who find their straight hair boring can add waves or curls to their hair, enjoying something different and new. There are two types of perms, digital or hot perms, and cold perms, but both can offer the same results. Perms are a fun and permanent way to try something new with your hair and give yourself a completely different look. 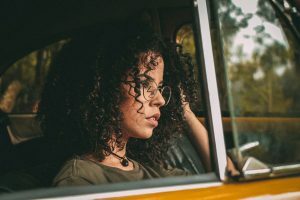 If you are thinking of getting a perm, or you have recently got a perm, you need to know the best ways to care for it, helping it last, and keeping your new curls looking amazing. If you are looking to get a perm, The Hair Company can help. We offer many different hair services and permanent waves or curls is one of them! Since a perm is permanent, it is a long term commitment that requires a lot of care and maintenance. Taking care of your permed hair can help to keep it looking better for longer, allowing you to enjoy it more. This care needs to be done right when you get the perm. If you wait to start taking care of your perm, it may ruin it. But obviously you know that perms require care, so let’s get to the actual care tips. 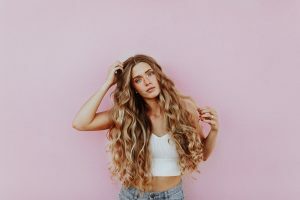 After a perm, your hair will be damaged, it is important that you use nourishing products in you hair that will help restore some of the health. Don’t get any more processing treatments after your perm, this will destroy your hair and definitely not help keep it looking nice. Use products that offer protein treatments to help rebuild the protein in your hair. Make sure you use gentler products, sulfate-free shampoo, and moisturizing conditioners. Products also include tools. Make sure you have a wide-tooth wooden comb and a soft paddle brush. Yes, we hate that word too. But after a perm, your hair will be dry and desperately in need of moisturizer. Deep conditioning becomes your need best friend after a perm. Stylecraze recommends deep conditioning your hair at least twice a week after getting a perm, and after a few weeks, cut back to once a week. Washing your hair often strips the natural oils from your locks, we all know that. When you get a perm, you want to keep as many natural oils in your hair as possible, helping to keep it hydrated. Washing your hair less will help to keep it moisturized and healthier. When you do wash your hair, make sure you use shampoo that does not contain sulfate and never skip conditioning. The Stylecraze article also mentions that you should not towel-dry your hair. Gently comb your hair with the wide-tooth comb mentioned above. Apply your products and wait for your hair to dry. Once it is dry, comb through it again and then gently brush with the paddle brush. Adding more products afterwards can help define the curls. Getting regular trims can help to remove damaged ends and keep it looking and feeling healthier. Every month and a half or two months is a good time to head in to get a trim. Trims are important, even if you want your hair to grow out. Taking care of a perm doesn’t have to be complicated, but you do need to make sure you follow these simple steps. At The Hair Company, we can help you get the hairstyle you want and give you the best treatment advice! Schedule an appointment today!